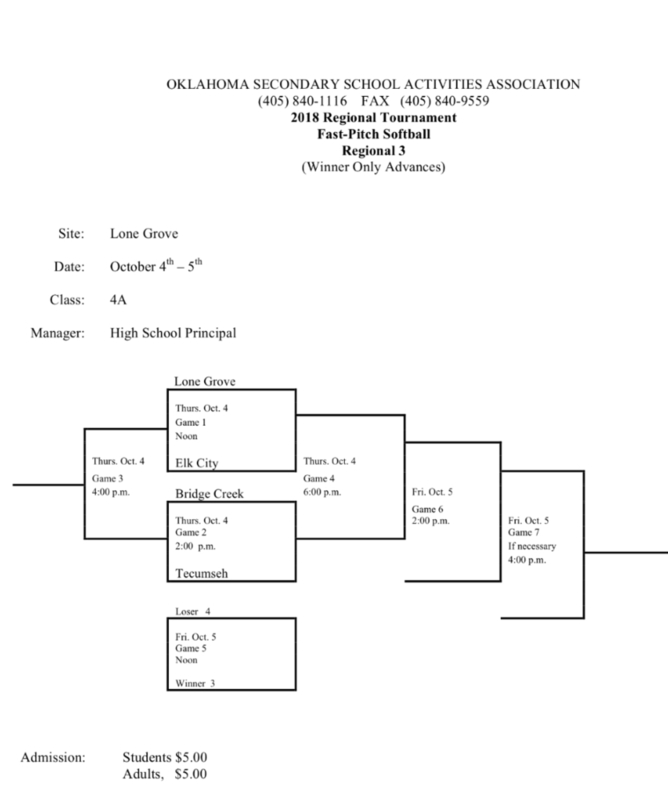 Assistant fastpitch coach Perry Wilson has released details on the upcoming regional tournament scheduled to be played at Lone Grove High School. The Lady Savages will begin play on Thursday, October 4 when they face Bridge Creek. The tournament will run through Friday if games 5, 6 and 7 become necessary. Only the winner of the regional will advance to the state tournament.